The purpose of The Dillard Academy Charter School Parent Teacher Organization (PTO) shall be to facilitate and carry out projects that support the DACS Charter and promote open communication and collaboration between the parents, teachers, Administration and the DACS Board of Directors (Board). By providing an avenue for parent participation, the PTO shall help to strengthen the school community and help create supportive programs and events that shall further the goals of the Board, Administration and parents. The primary areas of responsibility for the PTO include school support of faculty and administration, volunteer coordination, and community building for DACS through events and programs. The PTO works under and with the Board of Directors and the Administration to ensure that the needs of the students, staff, and parents are met. The board recognizes a single official PTO which reports to the administration as a committee. The PTO shall not seek to direct the administrative activities of the school nor control administrative policies, but shall be solicited for recommendations by the Board or Administration. 1. To have all parents and teachers become members of the organization. 2. To create a support structure for teachers and students through parent volunteers and participation. 3. To create a bridge between DACS and the community in which we operate. 4. To assist in fundraising events and efforts of DACS. 5. 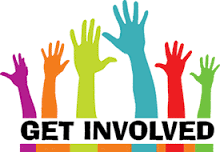 To create a forum for parents to share their views and ideas for future development of DACS. Membership of the DACS PTO is open and free to all parents and teachers of DACS students. We strong encourage all parents to get involved in the PTO and to find out how and where you can help DACS achieve its goal of education our children and ensuring that our school becomes and remains and school of choice. a. Preside at all meetings of the organization and the board. b. Be a member ex-officio of all committees. c. Perform such duties as may be prescribed by these bylaws or assigned by the organization or the board. d. Coordinate the work of the officers and committees, in order that the objectives may be promoted. e .Be accompanied by at least one other officer in conducting or attending meetings with the school board administrative staff or board of education, or with any group outside of the Dillard Academy Charter. f. Must be organized & have an agenda at each meeting. 2. The Vice President shall act as an aide to the President and shall in their designated order perform the duties of the President in the inability of that officer to serve & may be assigned other duties by the President. a. Keep an accurate record at all meetings of the organization and the board. b. Keep on file a copy of the current by-laws. This information is to be kept in a permanent record book that is to be in custody of the current secretary. c. Conduct the correspondence delegated & file correspondence received. a. Receive all monies due of the organization & to disburse same when ordered by the board. b. Keep an accurate record of receipts and expenditures. c. Present a financial statement at every meeting of the organization, showing receipts, expenditures & balances on hand in the bank and at times when requested by the board. d. Make a yearly report at the annual meeting. e. The signatures of the treasurer, another officer, school principal, or school secretary must be on any & all checks written, thus requiring 2 signatures to validate checks.